DALLAS, TX--(Marketwired - June 27, 2016) - Despite the economic downturn in some parts of the state, Texas continues to thrive as a hub for relocation activity, business development, and job growth. Home sales across the state are soaring and for some this is great news. However, this surge in sales has upset the delicate balance of supply and demand. 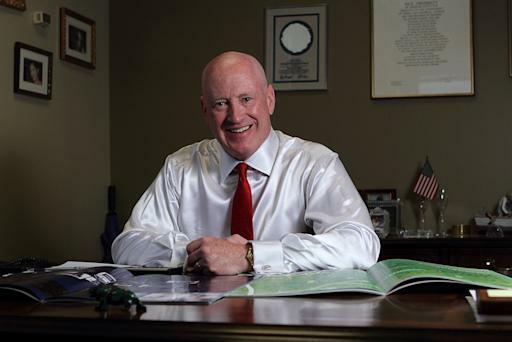 Marcus Hiles, Dallas based entrepreneur, real estate mogul, and CEO of Western Rim Property Services, is strategically positioned to excel amidst the market's instability and continue providing luxury homes at an affordable price. The Texas Quarterly Housing Report, released on May first, indicates that Texas property is in high demand, which creates a paradox for those in the market to purchase a home. According to the report, 65,265 homes were sold during the first quarter of 2016, which is an almost 8% increase in sales from the same time in 2015. The median price for a home in Texas has increased over 5% in just a year's time which means those who are currently looking to buy a house not only have less inventory to choose from, they will also pay more for less value. This imbalance, which can generate a real estate crisis, was the exact scenario facing Texans when Marcus Hiles' Dallas based company, Western Rim Properties, was born. The Texas home buying market was disjointed and teetering on the verge of disaster when Hiles had the vision to intervene. His initial mission was two-fold: to improve the local real estate markets in both Houston and Dallas, and to provide lavish homes at an affordable price for working class Texans. As a result, not only were the Houston and Dallas areas upgraded with top tier resort style communities, but the entire Texas real estate market received a face lift. For an extraordinarily successful property investor, Hiles has a savvy yet simplistic business plan: find out what customers want and then exceed their expectations. All of Western Rim's properties are designed with the highest quality materials and what most builders consider an upgrade, Hiles delivers as the standard. He provides a superior level of class and style to residential living appealing to those with a taste for modern and exquisite design and who enjoy beautiful natural surroundings without sacrificing any of the conveniences of modern urban living. Western Rim has demonstrated a continued commitment to keeping their projects environmentally friendly and yet still manages to deliver posh communities with breath-taking views, in the most sought after school districts. For Marcus Hiles, Dallas is where his success in property investment began but he has always had a propensity to expand and excel. His humble beginnings instilled in him a tremendous work ethic, ingenuity and drive that have led to his notoriety as a superior property investor and developer. His company, which owns and manages more than 15,000 luxury style homes, not only delivers aesthetically beautiful, efficient and affordable housing but also specialize in delivering a high-end lifestyle that is budget friendly. This incredible mixture of superior quality and attainability is what propels Hiles ahead of his peers. His business acumen, ability to cut cost, satisfy his customers, and adapt to the ever changing housing market is what makes Hiles an inspirational role model in the industry.